Working on this design was so much fun! 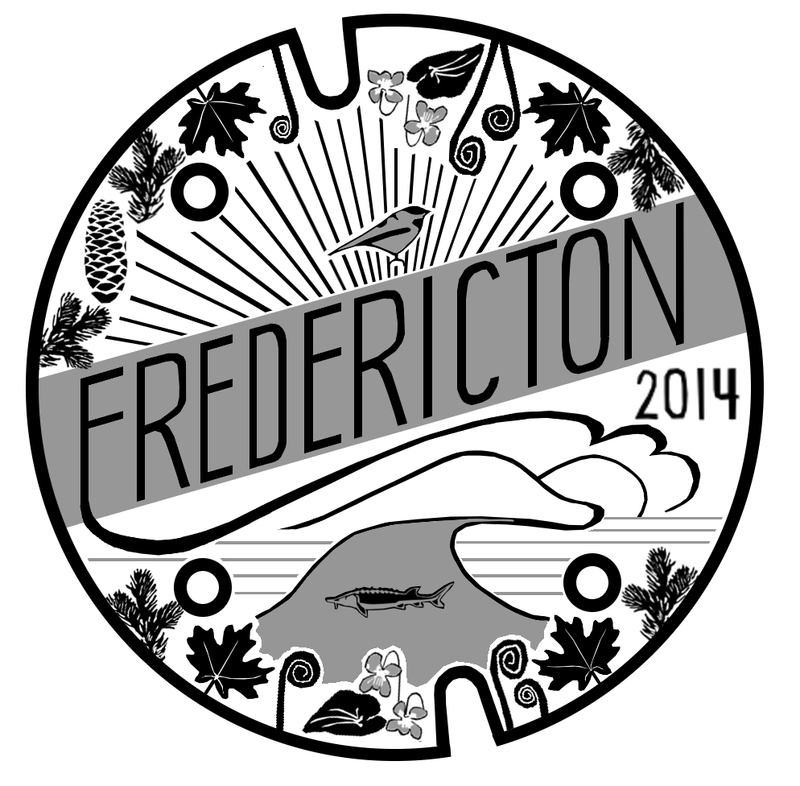 It has been a great way to compose an ode to our lovely new city, Fredericton, New Brunswick, Canada. While working on this, I daydreamed of the many moods of the river—-peachy pink in the sunrise, shrouded in a low mist, bright and beckoning, frozen still and covered in snow. I can’t wait for spring when the water rushes down from the high places and swells it again. It is truly a gift to live in such a place as this. Mawwiage is what bwings us togevah….today. in homage, of course, to the Princess Bride. a wedding gift for dear friends. Our school year let out super-late in Chicago this year because of the strike. 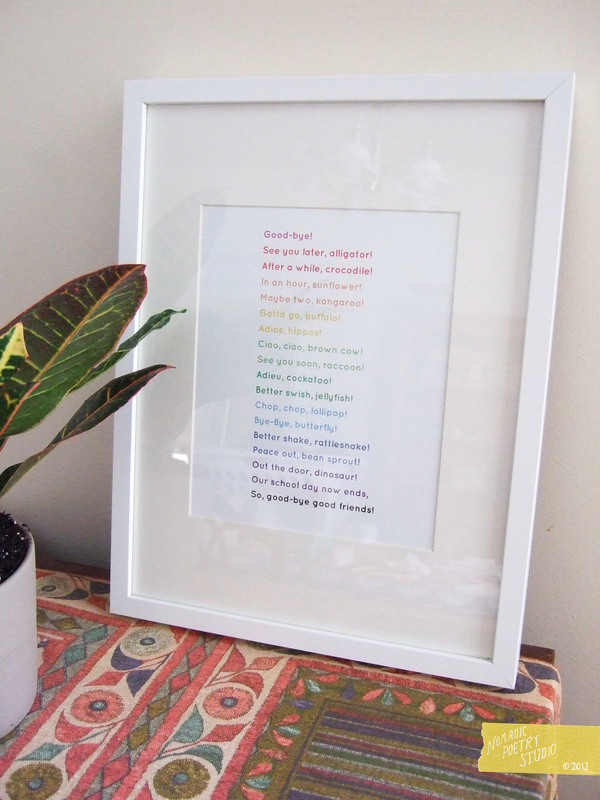 This is one of the teacher gifts we made, inspired by similar lists seen around the web: here, here, and here. The font is Quicksand bold by Andrew Paglinawan. Happy Birthday, Jake! May the force be with you!! For a dear friend , who for many years has looked forward to the day she would become a mama. Hopefully he’ll arrive any day now!! From the Hebrew name יְהוֹשֻׁעַ (Yehoshu’a) meaning “YAHWEH is salvation”. Joshua was one of the twelve spies sent into Canaan by Moses, as told in the Old Testament. After Moses died Joshua succeeded him as leader of the Israelites. As an English name, Joshua has been in use since the Protestant Reformation. The name Jesus comes from a Greek translation of the Aramaic short form יֵשׁוּעַ (Yeshu’a), which was the real name of Jesus. The world of design blogs has made me so much more aware of textiles from around the world. This series was precipitated by the recent West Elm + Minted design challenge. It was so fun to learn more about the techniques and cultural history behind these beautiful fabrics.